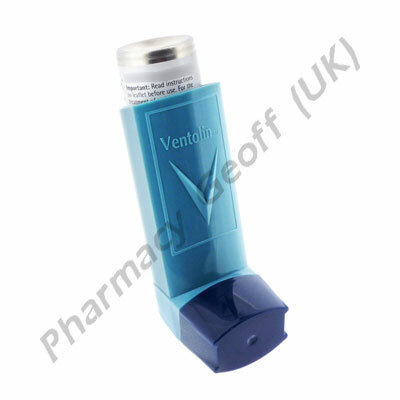 Ventolin is a drug used basically for the treatment of asthma. The active ingredient is Salbutamol. 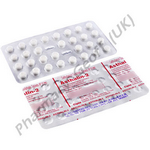 Salbutamol is a ß2-adrenergic receptor agonist used for the relief of bronchial spasm in conditions such as asthma. 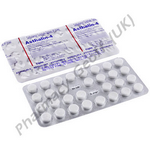 Salbutamol sulphate is commonly given through an inhaler for a direct effect on the bronchial smooth muscle but can also be given through a nebulizer or other proprietary delivery devices. It can also be given intravenously. Ventolin is used to treat or prevent bronchial spasm in people with reversible obstructive airway disease as well as to prevent exercise-induced bronchospasms. It can also be aerosolized with a nebulizer for patients who have cystic fibrosis, along with, acetylcysteine, pulmozyme and ipratropium bromide. The usual dose for prevention of bronchial spasm is 1-2 inhalations by aerosol every 4-6 hours. The dose for exercise induced bronchospasm is 2 inhalations a few minutes before exercise. The usual nebulizer dose is 0.63 mg, 1.25 mg or 2.5 mg 3-4 times a day. The recommended dosing for tablets is 2 or 4 mg given 3 to 4 times daily and the dose of extended release tablets is 4 or 8 mg every 12 hours. First, shake the Ventolin canister. Now exhale/breathe out and put the mouthpiece into your mouth and close your lips. Then, breathe in slowly while pushing down on the canister and hold your breath for a few seconds and then breathe out slowly. If you use more than one inhalation at a time, wait for at least a minute before using the second inhalation and shake the inhaler again. 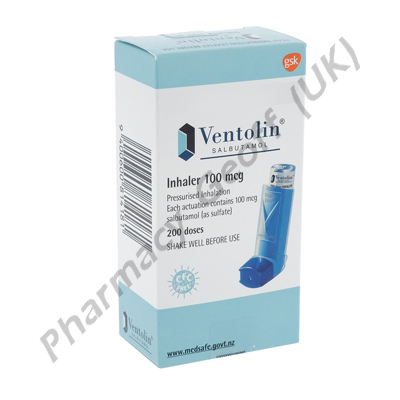 It should not be taken if you are allergic to Ventolin Inhaler (Salbutamol). Before taking Ventolin, you should consult your doctor and tell him if you have diabetes, heart disease, high blood pressure, heart rhythm disorder or an overactive thyroid. If you have these mentioned conditions, Ventolin could be harmful. However you may have to undergo through some special tests during treatment or a dose adjustment. In rare patients, this medication can cause life-threatening bronchospasm. Lowering of potassium and worsening of diabetes and have also been reported.